It’s not about training more—or less. It’s about training correctly. One of the most prevalent problems in sports is that people consistently and continually train their compensation patterns. Practitioners and athletes put so much time and energy into their training, and quite often, they’re doing it wrong. This is where the old saying “quality over quantity” hits full force. There’s a lot of literature out there on the dangers of persevering though pain, and on the problems with leaving compensation patterns unresolved. Often, when we continue training despite the pain, we force our bodies into suboptimal patterns of muscle use. Because avoidance of pain is an extremely powerful impulse, those habits remain ingrained long after the pain has ceased. Similarly, when we leave compensation patterns unresolved (and strengthen them by training), we’re developing our body, but along a suboptimal vector. Instead of training all of our body parts to interact with each other, we sideline a few of those parts, and leave them undeveloped and out of the game. This is a bigger problem than it seems: one of the key tenets of systems thinking is that the whole is bigger than the sum of its parts. For example, let’s suppose that our imaginary athlete is compensating for weak gluteus maximus activity with an overactive quadratus lumborum (lower back muscle). Not only will their hip extension on the weak side be, well, weaker, but the overactive quadratus lumborum will likely be impinging on their ability to take full breaths. Overuse one part, and you guarantee underusing another. Because their breath is impinged, their aerobic system becomes resistant to training. Because their hip extension is reduced on one side, their maximum speed is much lower than it could be, and they lose their ability to exercise with maximal weight across their entire body. Since these compensation patterns often go unnoticed, our imaginary athlete might tell another “I’m just a slow runner,” or “I’m injury-prone,” never knowing, never realizing, that their slowness (or their proneness to injury) is not due primarily because of some deficiency that is essential to their bodies, but largely because they’ve spent all of their training reinforcing existing compensation patterns. In my opinion, the most important piece of advice that any runner—any athlete—can take is that athletic ability doesn’t have to do with lung power or muscle power, but with the synchronization between the lungs and the muscles. The body’s power isn’t simply a measure of how powerful individual systems are—it’s a measure of how well they work together. Let’s give a quick example: throwing a baseball. Throwing a baseball isn’t about arm power. It’s about initiating the motion with one-leg hip extension against a solid object, and translating the resulting force across the torso, through the opposite arm, and into the ball. An athlete with a hugely powerful arm but weak hips (or strong hips that don’t work together with the torso and arm) won’t be able to throw nearly as well as someone who is strong and athletic but uses her body in a synchronized fashion (Mo’ne Davis comes to mind here). To put this claim in context, I doubt that miss Davis could win an arm-wrestling match with my father (who is massively strong even at 60), and yet there is no way that my dad could throw a ball half as fast as miss Davis could. 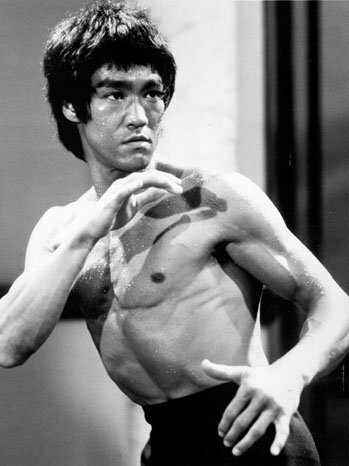 Back when Bruce Lee was still thrown around as an example of athletic excellence, I’d often hear people remark on the speed and power of his movements: “how is he that powerful, when he’s that skinny?” Even though Bruce lee had an extreme level of muscular power and definition, the sheer speed that he had was due to the fact that his body was extremely synchronized, and the mechanical energy generated by that muscle power could be effectively translated from one part of his body to the next. All of the masters of athleticism share particular characteristics. It’s not enough to just have the genetics—that’ll merely make you good. It’s not enough to just put in the time—that’ll make you great. To be the very best, you need a special bit of knowledge, knowledge that often seems counterintuitive—how can power not be about muscle power?—and you need to apply that knowledge in training. Wait, what? Doesn’t effort mean that you’re training hard? Doesn’t effort mean that you’ll be exerting yourself more, and therefore moving faster and more powerfully? Sure—if power was about muscle power. But power is (and always was) about alignment. That’s why Lorena Ochoa’s golf swing is so powerful. That’s why well-employed Judo techniques let small women beat much larger men. Let’s think about this quote in biomechanical terms. In these terms, this quote serves as an inoculation against compensation patterns. Above all, compensation patterns are effortful. By seeking to do the same movement with decreasing effort, the athlete puts herself on a path where athletic development means eliminating compensation patterns, and finding the simplest, most parsimonious way to do things. This doesn’t mean using less muscles. It means using more, in order to shape the body in such a way that it allows the generated mechanical energy to travel in the straightest line possible. Every athlete is different, and the solution to what “the straightest line possible” means will always be different for every athlete. But ultimately, that’s what training correctly really means, and that’s what separates the fast runner from the slow runner. Answering that question for ourselves is the key to athletic excellence. Previous Post(Not) running quote of the dayNext PostWant to change your stride safely? Learn about your body. muy buena aportacion! , algo que me sucede eventualmente cuando estoy corriendo es que siento que corro demasiado lento me indentifique con “I’m just a slow runner,” como puedo observar el alineamiento de mi cuerpo cuando corro para mejorar mi paso? La respuesta a tu pregunta es un juego muy complejo. Lo que yo te recomiendo es esto: observar, observar, y observar. Observa las diferencias en como tus pies caen al correr, observa las diferencias en como tus pies se levantan, observa las diferencias en como se mueven tus dos brazos, las diferencias entre el alineamiento de tus hombros, de tu cabeza, etc. Cuando uno observa y observa, las respuestas que necesitamos individualmente empiezan a emerger.